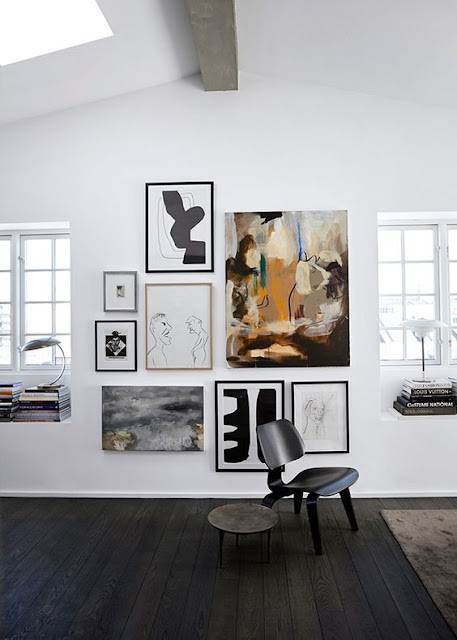 I am a huge fan of gallery walls and have pretty much always had one in my living space. 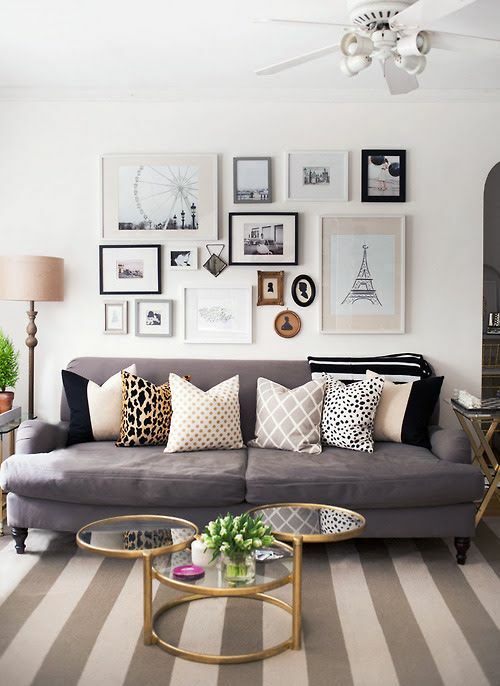 However, I have yet to add one into our current home because alas I am trying to follow a "slow design" mantra where I mindfully decorate (which is totally not my nature by the way). 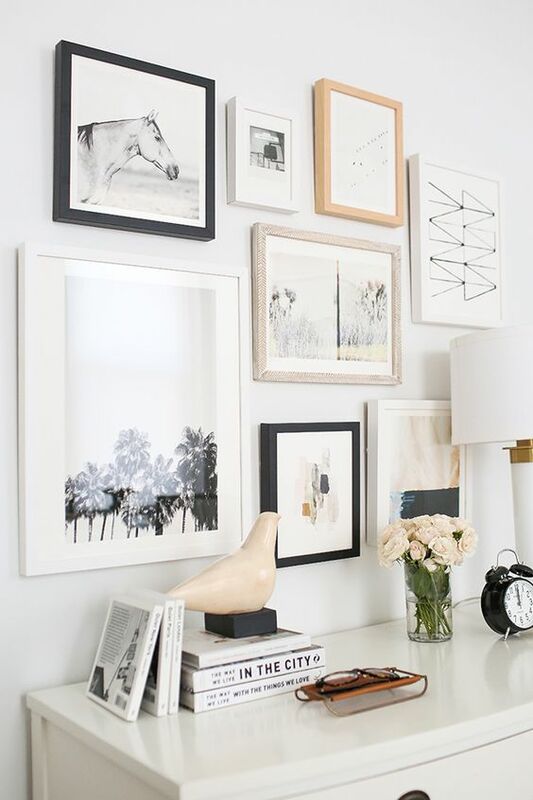 Plus, a gallery wall is a commitment and you want to make sure you have the right place picked out in your home for it because if you get all these frames up and don't like where it is we are talking at least 10 nail holes to fill and no body has time for that, especially when they have crazy kids running around. 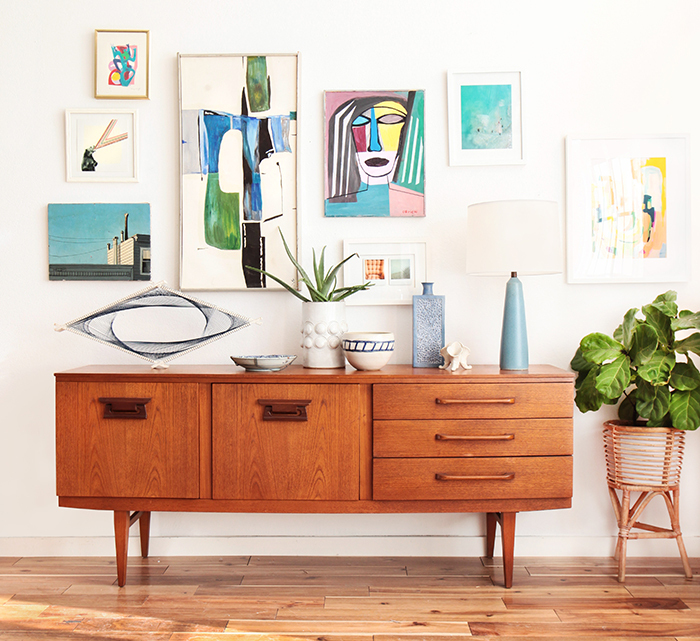 So the place in our home I have decided to dedicate to gallery wall space is our stairwell. We have a large high staircase that in my opinion is just begging to showcase a curated collection of family photos, prints and art. 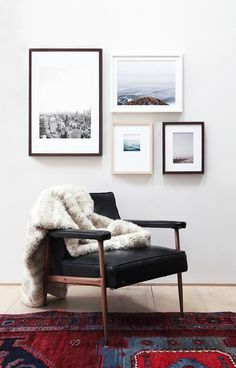 To me gallery walls are such a lovely way to bring in your personality and display things that are important to you and make you happy. I have been itching to get some family photos up with the boys because even though I see their sweet little faces all day, everyday I want them up on the walls as well haha. 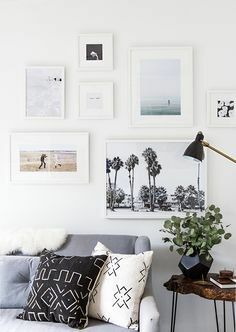 So like any gallery wall crazed person I have been cruising Pinterest and wanted to share some of the styles I have been loving and picture frame layouts. I hope you guys enjoy and have a great start to the week! Many new gallery designs are now share here. Because we want fresh design in our place. That is the reason we are trying to find these kind of grademiners scam designs here. And that is the best time for them because they are trying to make some different things.